You'll find the worst animal abuse in Pennsylvania at its live pigeon shoots, where hundreds to thousands of animals are individually tossed out of boxes and shot. At every shoot, depending on its size, dozens to hundreds of birds are left wounded in the area. These birds may survive for hours or even days before slowly succumbing to their wounds, exposure, predation, infection, hunger or thirst. In spite of this mind-boggling abuse, the more than sixty organizations in the Federated Humane Societies of Pennsylvania have for years refused to bring charges, rescue the wounded, document the abuse, or educate the public about what is going on. Former NRA president and current board member John Sigler is again running for the board. SHARK wants NRA members to be aware that Mr. Sigler is a pigeon shooter. Mr. Sigler shoots live birds that are tossed up in front of him at close range. It is very important to note that these pigeons are not eaten - they are disposed of as garbage. The first rule of hunting is that you eat what you kill. Sigler and his fellow pigeon shooters violate this and other hunting ethics. 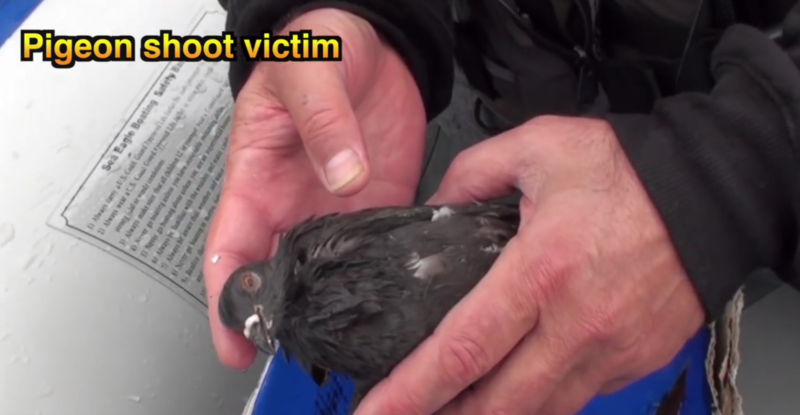 Live pigeon shoots result in dozens to hundreds of injured animals in the surrounding area. They may linger for hours or days before succumbing to their injuries, exposure, predation, hunger or thirst. 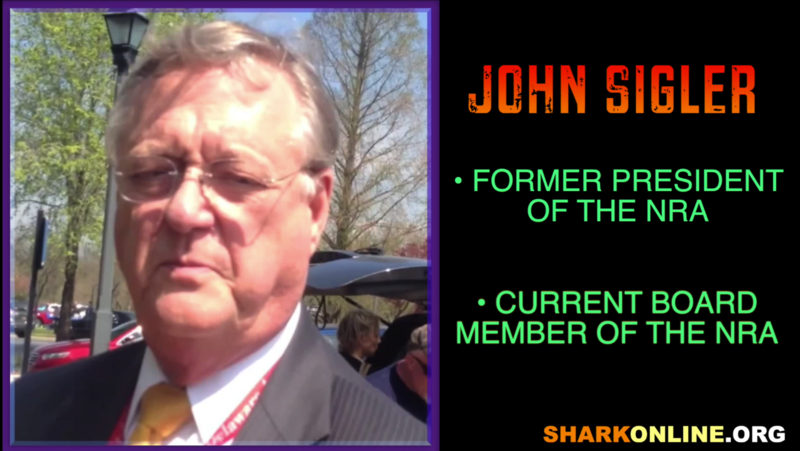 NRA members who believe in the humane treatment of animals, or hunting ethics, or common decency can surely find better candidates to support for the NRA board than John Sigler.